FireARMED® - Be Armed, with Knowledge. 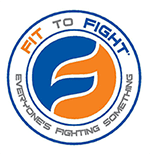 This program was created with the purpose of providing an in-depth, comprehensive and holistic handgun training curriculum that could be executed inside of Fit to Fight® Affiliated Training Centers. ✓ Be a better shooter. ✓ Learn to fight, with a gun. ✓ Retain and access your weapon. ✓ Enhance defense of family skills. ✓ Understand use of force laws. ✓ Enhance your decision making. The course is a multi-level system that uses inert training weapons, such as SIRT training weapons from Next Level Training, to allow for training in a facility that is not established for live fire. The visual feedback and training weapon features allow for many elements of offensive firearms training to be covered while emphasizing the need for fighting, clinching, wrestling, and retention skills to go along with use of a firearm. Additional topics covered in the course include trauma care training, post engagement steps, communicating with police after the incident, legalities of firearm use for self-defense, weapons-free self-defense skills, and more.